Happy Friday everyone! I hope you've all had a great week - mine has been so busy! I have been counting down to this Friday and am looking forward to having just about a week and a half off of work! It is much needed! Are you guys all ready for Christmas?! I got the last of our gifts and stocking stuffers this week and we are ready to go! I will do all my wrapping and prep this weekend; but, we are good! It's relieving not to have to go out and get anything this weekend! I really tried to plan ahead and get us funny outfits to wear for our Christmas cards and our reindeer onesies are great and the cards turned out fun. But, I've been so damn busy that I did not make good timing to send them out to most people this year! Ugh - I don't know how people get everything done with toddlers and work because I clearly can't keep up! I finally splurged on myself and used a giftcard I got for my birthday to get some really nice Lululemon tops! How gorgeous are these sweaters?! And, the best part is that Lululemon offers 25% off for First Responders (with id), so you save a really good amount when shopping in store! 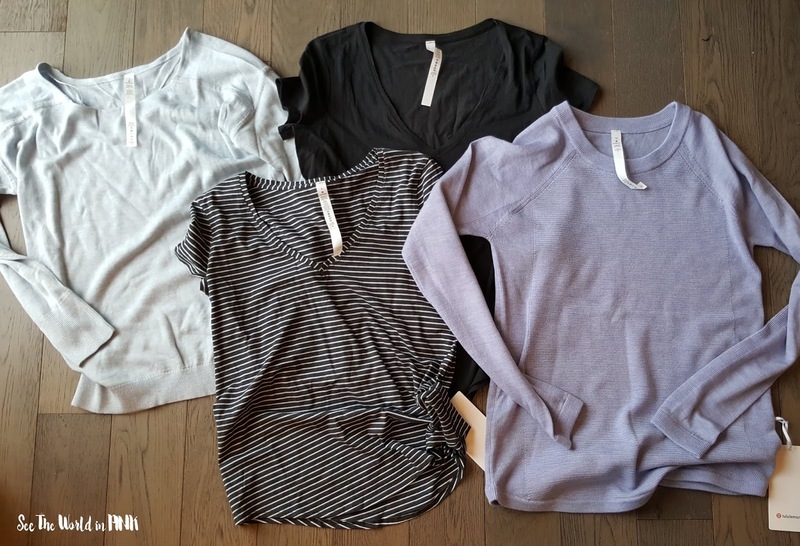 The tops I picked up are Full Extension Sweater in Heathered Starlight, Love Tee V in Black and Striped, and the Sit In Lotus Sweater in Heathered Lilac! The sweaters are so nice and the tees and a really great cut! 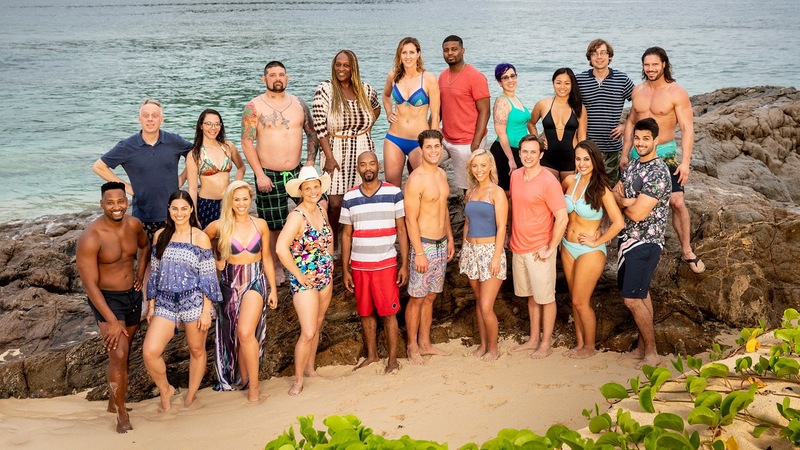 Did you guys keep up with this Survivor season - David vs. Goliath? The finale was this week and Nick won, which was well deserved! I really enjoyed this season - I thought every week was exciting with big moves all the time! It was good! 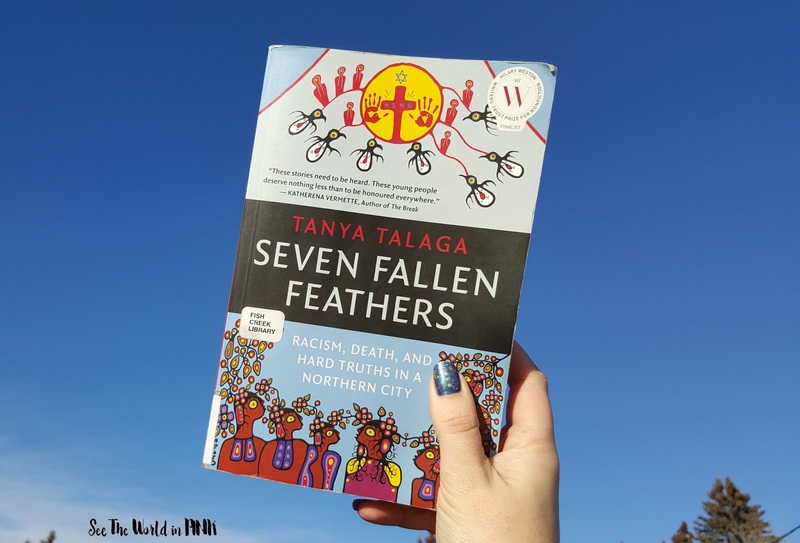 I read 4 books over the past month, with Seven Fallen Feathers being truly the best of the bunch! What an amazing read - I think this is a must read for Canadians. It would help change some deep systemic racism and help people become informed about issues that they may not know much about. Seriously, it is a must! Here are the past few weeks worth of palettes of the week! I used the Naked 3 palette, which is fine. It's one of my OG palettes (talked about it in My First Sephora Orders post) and it's okay - more staying in my collection because it's sentimental; but, it probably should be decluttered! 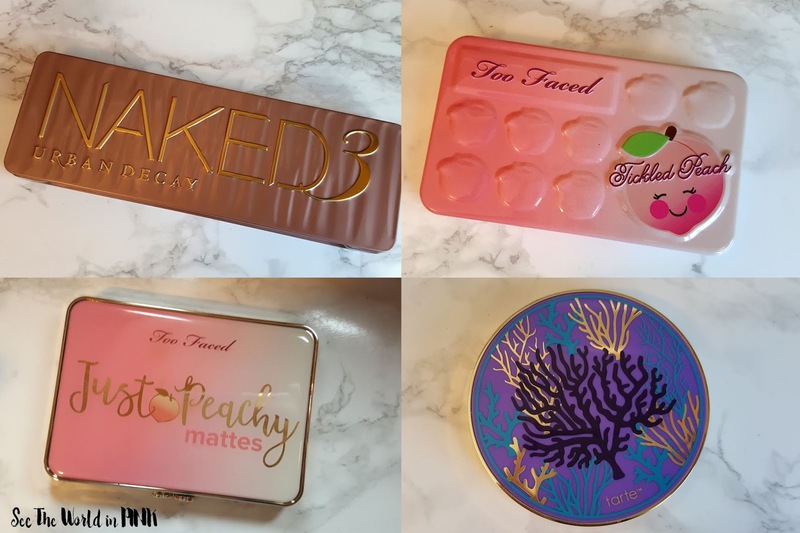 And, the Too Faced Tickled Peach palettes is one of my favorite mini palettes - you can see my whole review with swatches and a try on here! And, using the Too Faced Just Peachy Mattes palette made me like it more - I was one of the minority of people who wasn't wowed by this palette originally; but, it is a nice formula - I just need shimmers for a look! And, the Tarte Rainforest of the Sea vol. II came in a Boxycharm (see swatches and a try on here), and it's fine; but, I have so many neutral palettes that I am going to declutter this palette so someone else can use it! Hope you all have a great weekend - have fun shopping if you have to brave the crowds this weekend!